Nashille police officer Andrew Delke, left, with his defense attorney David Raybin. Courtesy of the Tennessean. 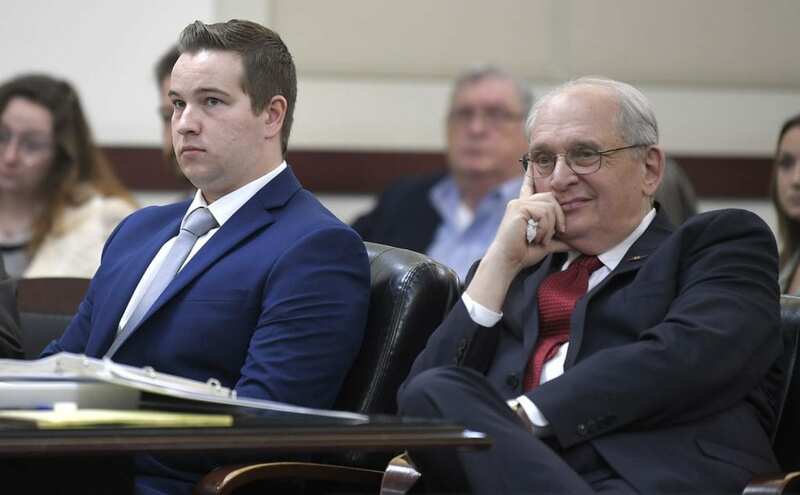 NASHVILLE, TN — A conference hearing Friday afternoon in courtroom 3B went the way Defense attorney David Raybin hoped it would. 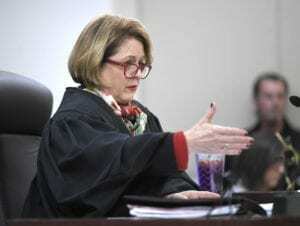 General Sessions Judge Melissa Blackburn took up several issues about what evidence and testimony would be allowed at the preliminary hearing scheduled for January 4, 2019. Black faces filled the gallery on the prosecution side of the courtroom. Whites sat scattered on the defense side. Where people sat was clear evidence of a community divided by race when it comes to use of deadly force. Officer Andrew Delke, 25, was arrested September 27 for criminal homicide in the shooting death of Daniel Hambrick on July 26. Raybin wants access to all the original video of the fatal shooting. Surveillance video recorded the shooting and was copied by TBI and Metro police shortly after Hambrick’s death. One of the twelve cameras showed Hambrick rounding a Henry Hale apartment building and running away from Delke who stopped and shot him three times as he fled. That video went viral but the original footage is no longer available. Video surveillance systems delete older footage as a matter of course to save space. District Attorney General Glenn Funk will be presenting the shooting from several different camera angles, much like how a film tells a story. “Those videos are incredibly important to the defense,” Raybin said. “We want to have the same video the prosecution has,” he added. Raybin said the MLK video has been enlarged and he wants to see the original. It may not exist. Judge Melissa Blackburn rules about evidence for the next hearing regarding the death of Daniel Hambrick during a hearing in her courtroom on Friday, Dec. 14, 2018. Judge Blackburn decided the defense should have whatever video the prosecution has and be able to enhance the image and edit it as Funk’s team has done. Score one for the defense. Delke’s defense team will show Hambrick was carrying a 9mm Beretta in his right hand as he fled down the block and they say at some point he shifted it to his left hand before he fell. They claim Hambrick was left-handed and was intending to shoot Delke or at least Delke thought he was. The defense asked Blackburn to allow photos from Hambrick’s Facebook account and testimony of him shooting his Baretta pistol at the Bellevue gun range. Blackburn ruled against their use. Score one for the prosecution. Delke told investigators he didn’t know Hambrick. Funk argued Hambrick’s criminal history is irrelevant. Hambrick’s record includes several drug and weapons arrests which Judge Blackburn decided will not be allowed into evidence. She will allow evidence of Hambrick’s “aggressive acts”. He was convicted of robbery in 2009, assault and in 2010, and he was charged with resisting arrest in 2013 but it was dismissed. Score one for the prosecution and one for the defense. 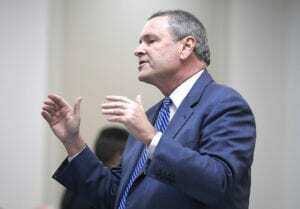 Nashville District Attorney Glenn Funk accused Defense Attorney David Raybin of misleading the court about the facts in the case. 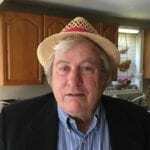 Funk and Raybin sparred with each other and at one point Funk accused Raybin of presenting false claims as facts in the case and implying the prosecution had doctored the video footage. Raybin wanted an apology but did not get one. Raybin wants to question the commissioner who refused to sign the warrant for Delke’s arrest. Raybin is laying a defense based on probable cause. “Was Delke’s use of deadly force legal?” Raybin asked. Delke’s arrest warrant states he did unlawfully kill Hambrick but Raybin questioned whether a crime was committed. “An act is only criminal if it is unlawful,” Raybin said, adding that the prosecution must prove an act was unlawful. Judge Blackburn decided Raybin could question witnesses at the preliminary hearing January 4 and at that time the judge will decide whether the case will go forward to a grand jury.